I’m back again with my crash course series on chemistry! Chemical bonds are strong links between atoms within a molecule and are really hard to break. Between molecules, there can be attractive forces too, but these are much weaker and not considered chemical bonds. Today we will be seeing how the shapes of atomic orbitals determine the type of chemical bonding, with a special emphasis on covalent bonding. If you’re ready for a new challenge, or if you want to refresh high school/college chemistry knowledge, read on! Except for noble gases, no other substances exist as isolated atoms. Chemical bonding determines the physical properties of all these other substances, and it’s important because chemical reactions, the breaking of old bonds and formation of new bonds, is what chemistry is all about! Only the valence electrons get involved in chemical bonding. That’s why the inner electrons are ignored in Lewis symbols. There are three types of chemical bonds: ionic, metallic, and covalent. When an atom transfers electrons to another, they form ions of opposite charge. As a result, the electrostatic attraction constitutes a bond known as the ionic bond. The cation is usually a metal and the anion is usually a nonmetal. We usually use empirical formulas, not m0lecular formulas to describe ionic compounds, because they exist in a lattice (see NaCl, for example). They are arranged in a way that maximizes attractive forces between unlike charges and minimizes repulsive forces between like charges. A measure of the strength of the bonding in an ionic crystal is the lattice energy – high lattice energy means high stability. (The lattice energy is the energy required to break apart one mole of a crystal into independent gaseous ions.) Increasing the ionic charge and decreasing ionic radii increase the attractive forces, which increase the lattice energy, and determines the chemical and physical properties of ionic solids. Most atoms tend to form ions that have octets, because these tend to be more stable. Elements with low ionization energy form cations, and elements with high (positive) electron affinities form anions. In accordance with the octet rule, bonded atoms have noble gas electronic configuration involving eight electrons. The LiF compound is an example that obeys the duet rule. When ionic compounds are dissolved in water, they conduct electricity, and have high melting/boiling points in comparison to ionic compounds. This is the type of bonding between metal atoms where their valence electrons aren’t confined to individual atoms but “flow” freely through the metal, and allow the material to conduct electricity and heat. The electrons are delocalized, in contrast to the electrons in ionic and covalent bonds. One, two, or three pairs of electrons are shared between two atoms (both nonmetallic) and attracted by both nuclei. We can have single, double, or triple bonds! The more pairs shared, the shorter/stronger the bond. Many of these atoms obey the octet rule too (although hydrogen obeys the duet rule). Lewis structures represent covalent molecules where electron pairs are shown as dashes, and where lone pairs (non-bonding electrons) are shown as dots. They don’t usually show the molecular symmetry. To see how to draw a Lewis structure, click here. The H2 molecule is an example of a homonuclear diatomic molecule. An example of a heteronuclear diatomic molecule is HF. See the difference? We can estimate the charges on each atom to estimate the stability of Lewis structures – using either oxidation numbers or formal charge. Oxidation states are assigned on the assumption that all bonds are ionic in nature, so we use formal charge, the charge an atom would have if all its bonds were purely covalent, to estimate the stability of Lewis structures. Note that these formal charges are not the real charges on atoms – it’s just a bookkeeping method that gives a rough picture of the actual charge separation. Also note that the formal charges must add up to the actual charge on the molecule or ion. The lower the formal charge, the more stable the structure. None of the structures correspond to reality – the correct structure incorporate delocalized bonding where certain bonding electrons are spread over more than one atom in a resonance hybrid. Remember that only electrons in π bonds and non-bonding electrons can move – electrons in σ bonds never move. Also, remember that resonance is a purely human construct to explain the limitations of the Lewis structures. Some atoms beyond the third period have d orbitals and can accommodate more than eight electrons in the valence shell. For example, see SF6 and PCl5. Elements such as Be, B, and Al usually don’t complete their octets. For example, see BeH2 and BF3. A free radical is an atom, molecule, or ion, with one or more unpaired electrons. They are usually really unstable and reactive, and require a lot of energy to produce. However, some free radicals are very stable. For example, NO has 11 valence electrons and therefore has at least one unpaired electron. Oxygen is a diradical, which means that it has two unpaired electrons. Bond length refers to the equilibrium distance between the centers of two bonded atoms, where the attractive and repulsive forces are in balance. It’s useful because bond lengths for a specific type of bond remain approximately constant from one compound to the next. Usually you can find this type of information in a table. A quantitative measure of the stability of a molecule and the strength of its bonds is its bond dissociation energy – the average energy required to break a chemical bond in an isolated molecule. Remember that bond formation releases energy and bond breaking absorbs energy. Generally, triple bonds are stronger than double bonds, which are stronger than single bonds. In ideal ionic bonds, electronic charge is completely transferred from one atom to the other. In ideal covalent bonds, the electron pairs are shared equally. BUT, in most covalent bonds, there is a partial transfer of charge so that the more electronegative (attracts electrons more strongly) atom acquires a partial negative charge while the other atom acquires a partial positive charge (δ- and δ+, respectively). When the electrons are shared unequally, the result is a polar bond. Electronegativity, the tendency of an atom to attract shared electrons, is a property that distinguishes non-polar covalent bonds and polar covalent bonds. EN increases from left to right and decreases down a group on the periodic table, so that in general, the non-metals are more electronegative than metals. When an atom has a large EN, it means that they have high IE and large positive EA. EN is calculated from this principle – it’s not an actual measured value. Still, you should know that the elements with the highest EN are F>O>N~Cl~Br. The greater the difference in EN in a bond, the more polar that bond is. As a rule of thumb, if the difference is greater than ~1.7, the bond is ionic. You can also describe a bond as “covalent with ionic character”, or vice versa, there is no definite boundary. Electric dipoles are two equal but opposite charges (q) separated by distance (d). The dipole moment, a vector, is represented by a crossed arrow directed from the positive end to the negative end, and increases with increasing EN difference. Molecular shape determines the molecular dipole moment, since dipole moments are vectors. For example, CO2 is a linear molecule, and the dipoles cancel. H2O (water) is a bent molecule so the dipoles do not cancel, which means that water is a polar molecule. Molecular geometry is really important for determining chemical and physical properties of substances! It can be determined by the (1) bond length – the equilibrium distance between the centers of two bonded atoms, and the (2) bond angle – the equilibrium angle between the bonds on two atoms that join them to a third atom. VSEPR predicts the shapes of molecules, assuming that electron pairs tend to stay as far apart as possible. Because they repel each other, molecular geometry is obtained by minimizing repulsion – the number of electron pairs determines molecular shape. Well, Lewis structures and the VSEPR model leave out the role of atomic orbitals in bond formation. The atomic orbitals are assumed to overlap when atoms come together to form a covalent bond, and the electron density is highest in the overlap region. Sigma bonds are formed by the head-to-head overlap of atomic orbitals. All single bonds are sigma bonds. Sigma bonds also have cylindrical symmetry around the bond axis. Pi bonds are formed by the side-to-side overlap of parallel p orbitals. They have high electron density above and below the inter-nuclear axis but not along it. Valence bond theory is a localized bonding model that doesn’t provide explanations for bonding in molecules like benzene, that contain delocalized electrons. We look to molecular orbital theory for that, which we will be learning in the next section. VB theory also does not generate an energy level diagram for the entire molecule – we don’t use to Aufbau principle to fill the valence bond orbitals. But first – Why Hybridization? Hybridization is the mixing of atomic orbitals on an atom to produce new hybrid orbitals to (a) form the correct number of bonds, and (b) to correctly account for bond angles. For example, H2O should have bond angles of 90, according to valence bond theory, while VSEPR predicts angles of 109.5, and while experimental findings show an angle of 104.5. One or more electrons is shifted from its groundstate orbital to a higher energy hybrid orbital to provide the requisite number of electrons for bonding – it’s energetically feasible because the greater number of bonds formed more than compensates for the initial investment in energy. Hybridization is the imaginary mixing where atomic orbitals within an atom rearrange to form new atomic orbitals – hybrid orbitals. These resultant hybrid orbitals are identical to each other in shape and energy, and their energy is intermediate between the parent atomic orbitals. The number of orbitals before and hybridization is the same. Pay attention to the signs of the wavefunctions – linear combination (addition and subtraction) of atomic orbitals on the same atom involves constructive and destructive interference. The half filled hybrid orbital overlaps with another half filled (pure or hybrid) orbital to form a bond. The strength of a chemical bond is largely determined by the extent of atomic orbital overlap. For this reason, double bonds are not twice as strong as single bonds because side-to-side overlap is less extensive than head-to-head overlap in atomic orbitals. Rotation about single bonds is easy because the barrier to rotation is very small. But, the presence of a pi bond prevents free rotation about a double bond, since the orbitals interact above and below the internuclear axis. Did you know that oxygen has unpaired electrons and is therefore paramagnetic? Yes, Lewis structures lied to you! Watch this if you don’t believe me. Okay, you’re going to want some explanations now. In contrast to the localized bonding theory of valence bond theory, molecular orbital theory invokes molecular orbitals that are delocalized over the entire molecule. Molecular Orbital theory of chemical bonding assumes that when atoms come together their orbitals transform to form molecular orbitals (MO) that are distinct in energy and shape from atomic orbitals. Basically, molecular orbitals are obtained by taking sums and differences of atomic orbitals on different atoms. Note that the total number of orbitals doesn’t change before and after they combine. When two atomic orbitals are added, the wavefunctions undergo constructive interference and result in a high electron density between the nuclei. It forms what is called a bonding orbital, with a lower energy and higher stability than the parent atomic orbitals. When two orbitals are subtracted, the wavefunctions undergo destructive interference and result in a lower electron density between the nuclei, and create a nodal plane halfway between them. It forms an antibonding orbital, with a less stable, higher energy state than the parent atomic orbitals. Antibonding orbitals decrease bond strength and destabilize the molecule. Therefore, the bonding and antibonding molecular orbitals are lower and higher, respectively, in energy compared to the parent atomic orbitals. We’re only going to be learning about σ and π MO’s today. Note that MO’s are different but analogous from σ/π bonding mentioned in previous sections. Sigma (σ) MO’s are completely symmetric about the internuclear axis. For σ orbitals, the majority of the electron density lies along the internuclear axis. Pi (π) MO’s change sign when rotated 180 around the internuclear axis. For π orbitals, the majority of the electron density lies above and below the internuclear axis. Electrons in bonding MO’s stabilize a bond, and electrons in antibonding MO’s destabilize a bond. Bond order is the measure of the stability of a bond. If the bond order is 0 the molecule is unstable; if it is greater or equal to 0.5, the molecule is stable. 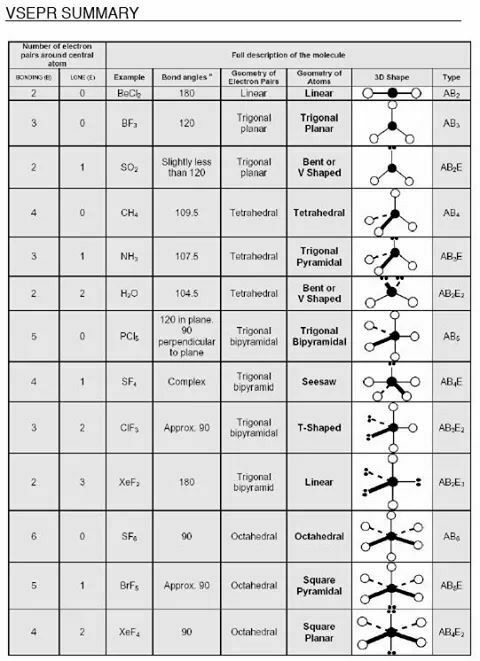 Bond orders of 1,2,and 3 correspond to single, double, and triple bonds, respectively. Overall, as bond order increases, bond dissociation energy increases, and bond length decreases (stronger). The following is the typical energy level representation of a homonuclear diatomic molecule. Oxygen and fluorine molecules are the exception because the σ2p bonding orbital is lower than the πx and πy bonding orbitals (notice that they’re flipped compared to the original image above). Notice that the “KK” denotes the 1s core electrons that are not represented in the energy level diagram. A “b” denotes a bonding electron orbital while a * denotes an antibonding electron orbital. D’accord? Do you see how the electron configuration for oxygen includes two lone electrons? This shows that oxygen is paramagnetic, which is information that a Lewis structure cannot provide. Unlike in homonuclear diatomic molecules, the parent orbitals in heteronuclear diatomic molecules have different energies in the atomic orbitals. In order for an MO to form from two different atoms, (1) the atomic orbitals must be fairly close in energy; (2) the atomic orbitals must have appropriate symmetry. In the case where there is a relatively small difference in electronegativity between the two participating atoms, the bonding MO has more characteristics of the orbital made from the higher EN, while the antibonding MO has more characteristics of the atomic orbital of the atom with the lower EN. Do you see how the bonding orbitals (the ones in blue, on the bottom) are closer to the original energy levels of atom B? And how the antibonding orbitals (the ones in pink, on the top) are closer to the original energy levels of atom A? That’s basically it, that’s what I’m talking about. The more EN atom hogs the electrons in the bonding orbitals, and the less EN atom hogs the electrons in the antibonding orbitals. In the case where there’s a relatively large difference in EN (intermediate), we have to use programs such as Gaussian to observe how the electrons are distributed. For example, CO is expected to have a higher electron density mostly on the O end, and therefore it’s expected to bind to surfaces with that O end. However, it has been observed repeatedly that CO binds to surfaces with the carbon-end, and this is because carbon actually has the higher electron density. In the case where there’s a significant difference in EN, let’s look at an example with HF. We observe that the 2s orbital on F does not mix with the 1s orbital on H, because the difference in energy is too large. We also observe that the 2px and 2py orbitals on F don’t have the right symmetry to mix with the H 1s, and are therefore these are all non-bonding orbitals. The 2pz on F and 1s on H do mix to form the σ-bonding and σ-antibonding MO’s, however. Note the non-bonding atomic orbitals (2s, 2p), and the bonding and anti-bonding sigma molecular orbitals. When we model polyatomic molecules, we use valence bond theory for single bonds (sigma) and molecular orbital theory for pi electrons. Now that we’ve covered covalent bonding in gory detail, let’s step back for a moment and recognize that covalent, ionic, and metallic bonding are all types of intramolecular forces – that is, the forces within a molecule that keep it together. Moving into a larger scope, let’s introduce the concept of intermolecular forces (IMF), which is the weak, short-range force between molecules. The existence of liquids and solids proves the existence of attractive forces between molecules. Because they have low compressibility, this shows that molecules repel each other at very short distances (think about it, can you make a cup of water take up less space?). We can measure IMF in a substance by measuring the energy it takes to vaporize a certain amount of it, or by measuring the boiling point of that substance. This energy is way, way less than those involved in intramolecular forces (chemical bonds). When a molecule has a dipole – two equal and opposite charges separated by a distance – it is said to be polar. Polar molecules can be electrically neutral overall, but they attract each other when the molecules orient themselves so that the dipoles line up. These forces are relatively weak and are very short-range. Molecules with dipole moments have higher boiling points and melting points compared to non-polar substances. The hydrogen bond is a special type of dipole-dipole interaction, when a hydrogen atom in a polar bond interacts with a highly EN atom such as N, O, or F. Relatively large amounts of energy are required to break these bonds, which is why H2O has such a high heat of vaporization, and why ice is less dense than liquid water, for example. London dispersion forces are due to induced dipole-induced dipole forces, and explains how non-polar molecules can attract each other. An induced dipole can be formed by placing an ion near a non-polar molecule. The electron distribution on the molecule is distorted and affects the molecule next to it, and so forth. These are weaker than dipole-dipole forces and fall off rapidly with distance. However, London forces increase dramatically with molecular size because (1) the strength of forces depends on the number of electrons; (2) in large atoms and molecules, electrons are more easily polarized. Because large molecules have outer electrons not tightly held by the nuclei, they are more polarizable. In liquids, we will examine two properties: (1) viscosity and (2) surface tension. Viscosity is a measure of a liquid’s resistance to flow – molasses and glycerol are viscuous and pour slowly because of strong IMF. Viscosity also decreases with increasing temperature because the faster moving molecules can overcome attractive forces. Surface tension is the energy required to “stretch” the surface of a liquid by some unit amount, and strong IMF implies high surface tension. The surfaces of liquids resist stretching, which is why liquids tend to form spherical droplets, or why a paperclip can be held by the surface of water. Now, solutions are homogeneous mixtures of two or more substances, and the solubility of these substances largely determines the amount that can be miscible with each other. “Like dissolves like”, so water will dissolve in ethanol, but not oil or anything non-polar. In solids, the strong attractive forces only allow small vibrations about the “fixed” positions. Solids can be roughly classified as crystalline or amorphous. Amorphous solids are not arranged in a regular order and don’t have planar surfaces or sharp melting points (transitions over a range of temperatures). Crystalline solids consist of atoms, ions, and/or molecules arranged in a crystal lattice – a regular, repeating pattern. They can be held together as an (1) ionic, (2) molecular, (3) network covalent, or (4) metallic solid. A classic example of an ionic solid is NaCl – brittle, not malleable, hard, rigid, and with a highly boiling point, there are no distinct molecules in this lattice and are made up of positive and negative ions. Molecular solids are made up of molecules held together by weak intermolecular forces, and have little mechanical strength and low melting point. In a network covalent solid, such as SiO2, graphite, and diamond, each atom is covalently bonded to its neighbors in a network. These solids are hard, stable, and have high melting points. In metallic bonding, while the metal ions occupy regular lattice sites, the valence electrons flow freely through the solid, which allow it to conduct electricity and heat. That was a huge extension from high school, where we did bonding models only up the VSEPR theory at most. Hopefully I was mostly coherent, if you have any questions (none of them are stupid, I promise! ), I will address them if you leave them in the comments below. Thanks for reading, and keep learning in the meantime!